Whether you are a high-performance athlete or someone looking to get started, Sabertooth delivers results. Pete provides enthusiastic guidance, thoughtful corrections, customized programs all in a positive environment. You’ll have fun while getting into the best shape of your life! the best workout in your life. Pete Neuman makes it fun and will motivate you. The best locations and very nice people! incredible program- too advanced for me but i am improving. So much info, such positive people... and truly affordable. And Pete is a caring coach, in a ruthless kind of way!... read moreincredible program- too advanced for me but i am improving. Want to know my secret for *really* being fit overall? If you're in the LA area, you have to checkout Sabertooth Fitness and Pete Neumann. Before joining 18 months ago... read moreWant to know my secret for *really* being fit overall? 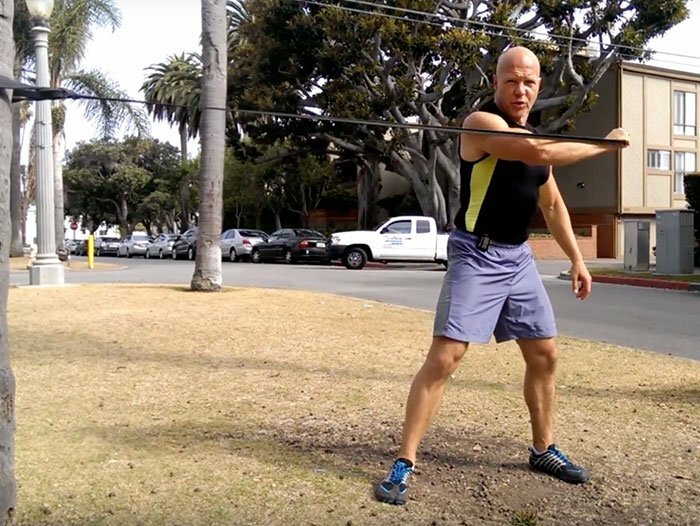 If you're in the LA area, you have to checkout Sabertooth Fitness and Pete Neumann. Before joining 18 months ago I was in the gym lifting heavy 5+ days a week, and was strong and in good shape, but my cardio game suffered big time. Now, fast-forward 18 months and I'm quantifiably stronger and faster than ever. It sounds unreal but I'm now lifting weights about once every 7-10 days and am still lifting at very high levels on bench, deadlift and squat and still breaking records. The 2-3 days of the Sabertooth HIIT/Tabata workouts a week have really kicked things into gear. And, equally important now my endurance and cardio improvements are off the charts: close to running my mile time back in high school, my average HR during 5k and 10k runs has dropped about 20 BPMs (10k now? no sweat), and these Sabertooth workouts will get you tough enough to do a Tough Mudder or Spartan race. Background: I'm a man in my fifties who hasn't done any regular exercise in probably 20 years. I started seeing Pete 1-on-1 in January 2018. He is very down to earth... read moreBackground: I'm a man in my fifties who hasn't done any regular exercise in probably 20 years. I started seeing Pete 1-on-1 in January 2018. He is very down to earth and straight forward. He quickly assessed where I was, and put together a customized workout plan for our sessions. We meet at a park near my house, because as Pete says "gyms are stupid." The workouts are bodyweight and hiit based. He pushes me, but doesn't use shame or yelling. He's was very empathetic when I tweaked my ankle and smoothly adjusted the workouts to crush my shoulders and arms instead. Slowly, over the weeks I got stronger. 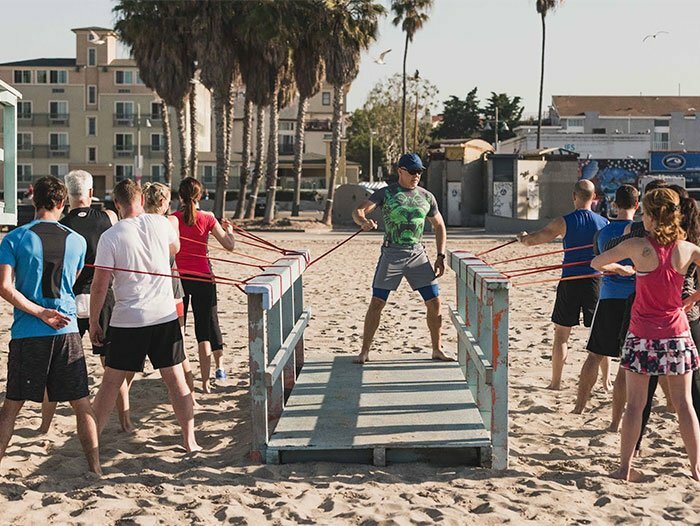 After a month, I started joining his boot camp classes on the beach at 6am, they are very challenging, and there are people who are way fitter than I am, but I am able to adjust and do more and more every week. Best trainer EVER, never shaming, always positive, keeps you motivated (and sore) and push you to your edge. Yay!!! So glad I found this bootcamp, and this fun group of people. Incredible personal trainer...comes to my home and beats me up lol. No gym needed - he brings everything, including a sheet of paper with your name on it and your hand... read moreIncredible personal trainer...comes to my home and beats me up lol. No gym needed - he brings everything, including a sheet of paper with your name on it and your hand crafted exercises. I was looking for a weight loss coach and fitness instructor and got more than I wanted. I have lost 10 lbs in 45 days and am stronger than ever. He gives you homework and also checks on you and your diet the days he doesn't see you. He is the only trainer that does EVERY SINGLE rep with you (yes every pushup is done in sync with you for example).